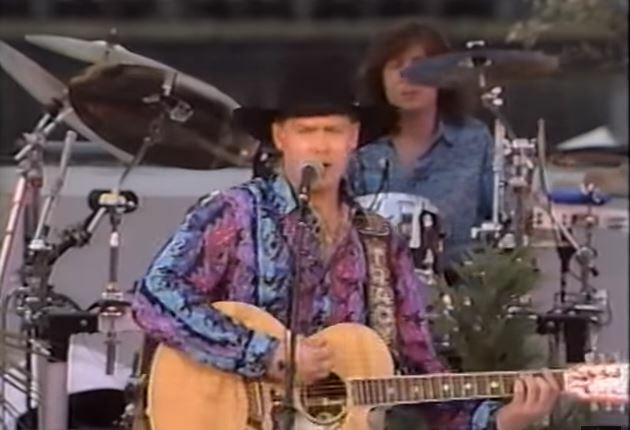 Artículos con la etiqueta "Tracy Lawrence"
Tracy Lawrence performs "Can't Break It To My Heart"
"Can't Break It to My Heart" is a song co-written and recorded by American country music singer Tracy Lawrence. It was released in June 1993 as the second single from his album, Alibis. The song reached the top of the Billboard Hot Country Songs chart and peaked at number 2 on the Canadian RPM Country Tracks chart.